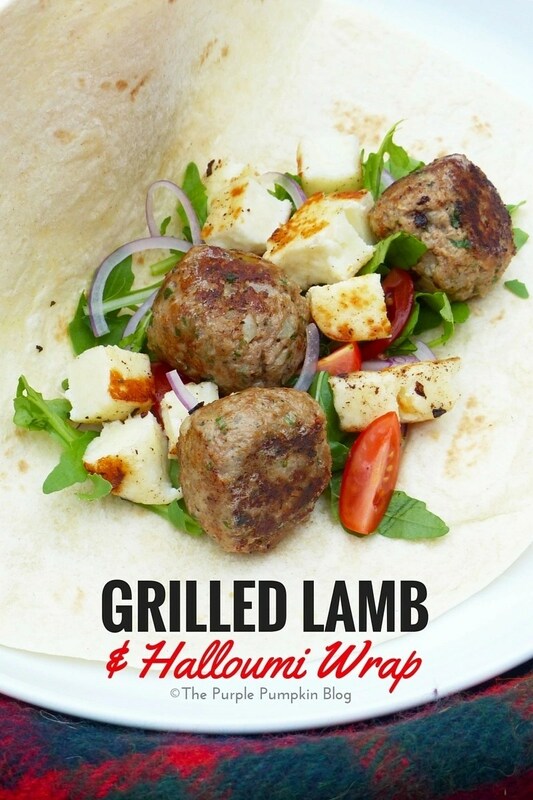 This recipe for a Grilled Lamb and Halloumi Wrap, is the second of three recipes I’d been sent to try out. You can find the first one here – Halloumi Wrap. 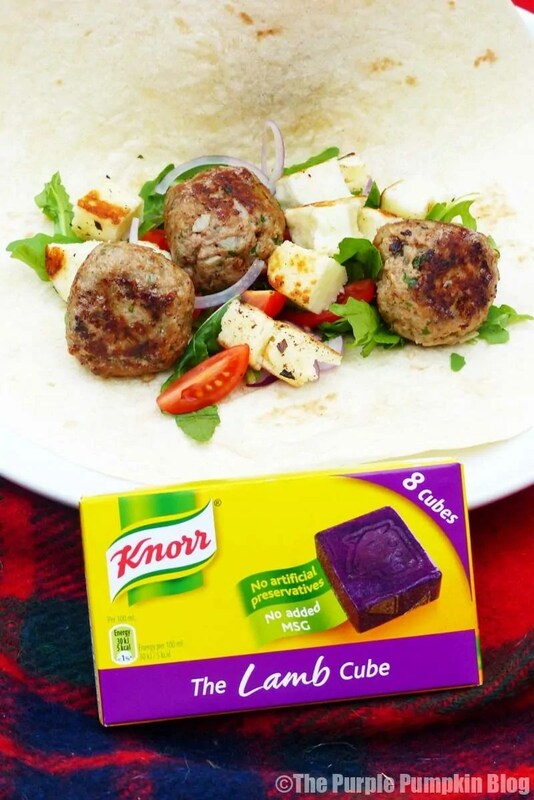 This recipe takes a bit longer as you have to make some meatballs using lamb mince, herbs, spices and a Knorr lamb stock cube, which, once mixed together, you leave for an hour. But the end results are worth it – these meatballs are full of flavour and so tender. The meatballs are simply sizzled in a frying pan – or you could grill them (perfect for a barbecue! ), and then wrapped up in a soft tortilla with some cooked halloumi and salad – delish! Put the minced lamb, breadcrumbs, onion, parsley, rosemary, cumin, mint, chilli flakes or paprika, egg and Knorr Lamb Stock Cube into a food processor. Season with salt and pepper, then blend for about 30 seconds. Tip onto a plate, then cover and refrigerate for 1 hour. 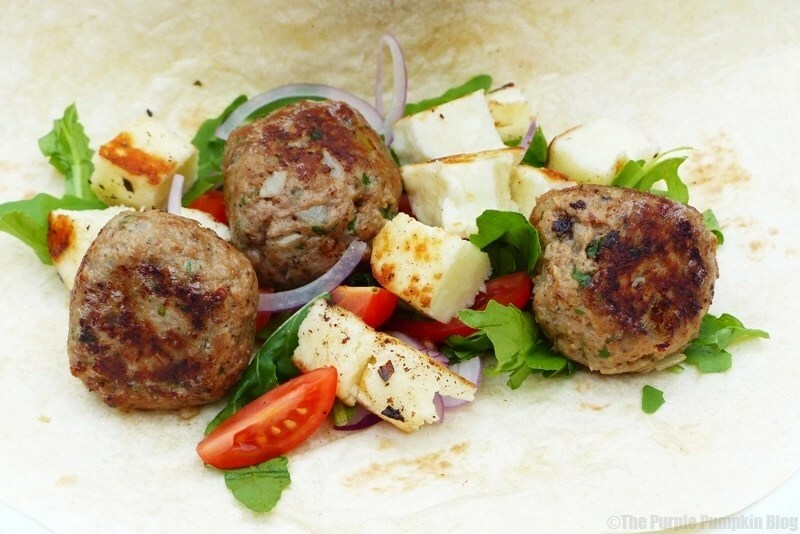 Shape the mixture with your hands to create koftas, about the size of ping-pong balls. Heat the olive oil in a large frying pan over a medium-high heat. Add the koftas and sizzle for 1 minute, then gently turn them over with a fork or spatula. Cook until crisp and brown. When cooked, drain on kitchen paper. Whilst the koftas are cooling down, cook the halloumi in a char-grill pan or dry frying pan until golden on both sides. Warm the tortilla wraps or flat breads over the cooking halloumi. Top the warm wraps or flat bread with rocket, tomatoes and red onion. Share the koftas between them and top with the halloumi. Serve, drizzled with a little olive oil and lemon juice and a pinch of sumac (if using). This looks incredible, we love halloumi and it does go so well with lamb. I don’t think I’ll ever get tired of halloumi! Oh what a shame… and annoying too! I would say try with beef mince instead, but we both know it won’t be the same!